The roof of your home isn’t only functional. Of course, you want to find the materials that will protect you from the highest of winds and the worst of snow storms, but why stop there? If you’re wanting a roof that compliments your home perfectly, the Camelot® II shingle line is something that you should look into. 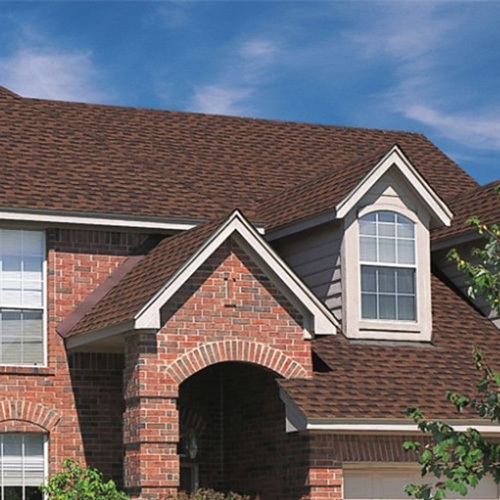 Here at Sorensen Roofing & Exteriors, we rely on the Camelot® II shingle for beautiful, durable roofs. Keep reading to see why this is one of the many options that we offer our customers. GAF is one of the leading roofing supply providers in the industry. They are known for creating luxurious and beautiful shingles that are also durable and highly rated. This is why we absolutely love being able to provide them as an option to our customers. The Camelot® II shingle is one of the best shingles made by GAF, and here is why. Enhancing the look and curb appeal of your home is something that everyone would love to do, but it’s expensive. The Camelot® II shingle is designed after the well-known and luxurious Camelot® shingle line. These shingles compliment the exterior color of your home and at a reasonable price. The Camelot® II shingle combines the high-quality granules that we use with our advanced blending technology to provide you with colors that compliment the exterior color of your house and leave you with bright, premium color options to choose from. Find the perfect fit for your home with the various color options we have to offer. As we mentioned before, GAF is known for creating shingles that are high-performance and high-rating. The Camelot® II shingle is no different. The Camelot® II shingle is UL Class A which is the highest roof fire rating that can be received. Aside from that, these tiles are designed with Advanced Protection ® Shingle Technology, which allows for them to provide your home with the absolute best protection possible. You don’t have to worry about these shingles going anywhere! The DuraGrip ™ adhesive seals each shingle tightly. This ensures that they stay in place when even the highest of winds comes through. Here at Sorensen Roofing & Exteriors, we want to make sure that your roof is not only durable, but beautiful. Whether you’d like to learn more about the roofing supplies that you can choose from or you’re ready to get a free quote on your roofing project, contact our team. We would be more than happy to get you taken care of and guide you in the right direction of your new roof.